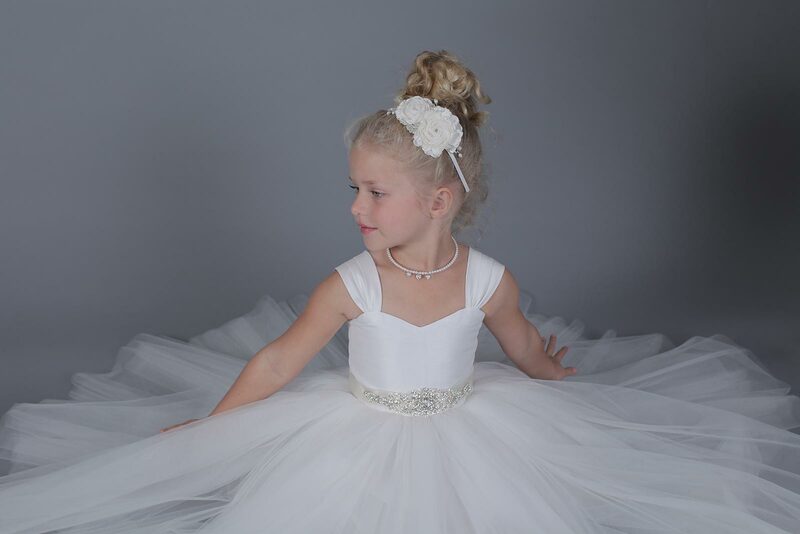 Amalee Couture is an exceptional designer in the kids industry and Blush Kids Luxury Couture is very honored to be carrying this one of a kind unique collection of couture flower girl dresses and first communion dresses for girls sizes 2 - 12. With 20 years of experience in the special occasion industry, Amalee Couture offers you the highest quality couture first communion dresses and gowns that you would talk about for many years to come. Their designs are exquisite and made only of the finest fabric satin, tulle and lace. The crystals used on their flower girl dresses and first communion dresses are of the highest quality and outstanding even more so when worn by your precious little girls! Amalee Couture girls dresses were made with your angels in mind and we are sure you are going to be extremely happy once just like we here at Blush Kids Luxury Couture did when you see and feel the high quality fabrics, crystals and beading that these dresses were constructed with. Amalee flower girl dresses and first communion dresses are proudly manufactured in the USA with utmost attention given to every tiny detail. Purchasing an Amalee Couture flower girl or communion gown for your child is one of the best decisions you could have made and we guarantee you that it is money well spent. Cheers!